Sailor Moon Prop Tutorials « Adafruit Industries – Makers, hackers, artists, designers and engineers! The world of Sailor Moon is vast and seemingly never-ending. The manga and anime series features a regular cast of characters, but they’ve had different looks since the series started in 1991. There’s quite the array of costumes and props to choose from. Bethie, a.k.a. 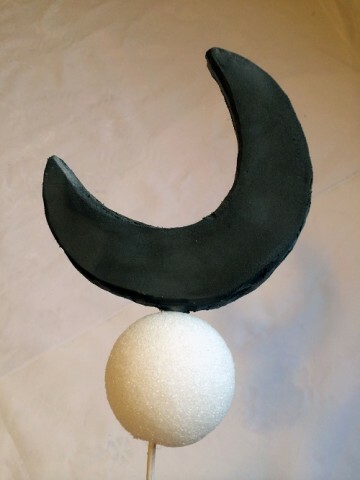 ainobethie on Live Journal, has taken it upon herself to create a long page of tutorials for a wide variety of Sailor Moon props. If you ever plan to make something from that universe, go ahead and bookmark the site now. 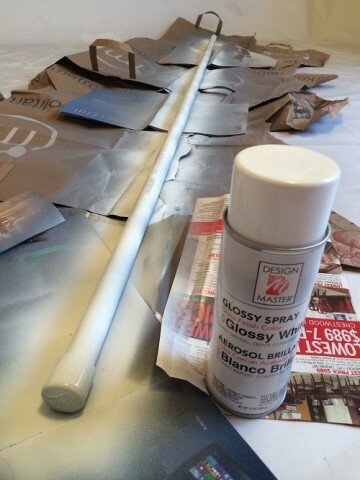 I took 6′ of 3/4″ diameter PVC pipe and glued on an end-cap with caulking. After that dried, I sprayed the whole thing with a couple of coats of primer and now I’m doing coats of glossy white paint. I made the crescent top-piece out of 2 pieces of EVA mat foam. I sandwiched some thick copper wire in between the two cut-out crescents and hot glued them together and finished the edges first by hand with an exacto blade and then with a dremel tool. I’ll also be threading two styrofoam balls through the wire and then I’ll use caulking and hot glue to attach the whole thing with the wire ending up through the middle of the PVC pipe.